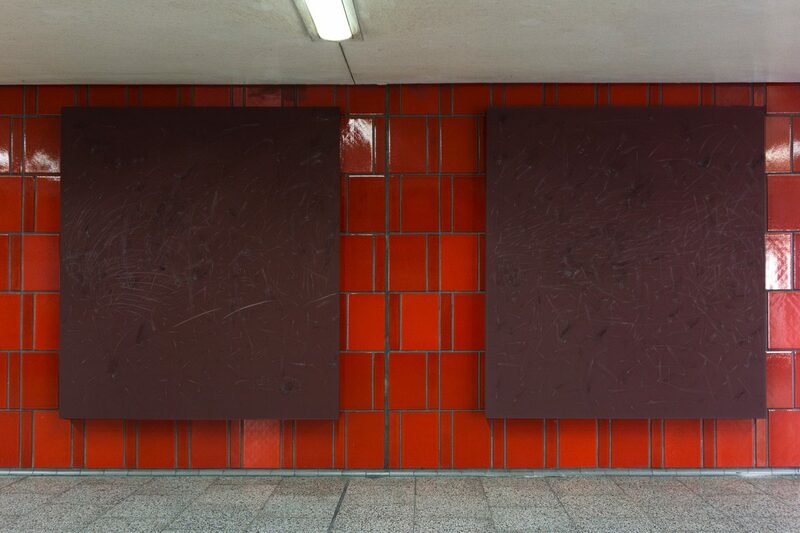 For his in-situ installation „Fire Walk with Me“ Thomas Wachholz decided to transform both display windows of ≈ 5 into two monochrom reddish-brownish monolith corpora. 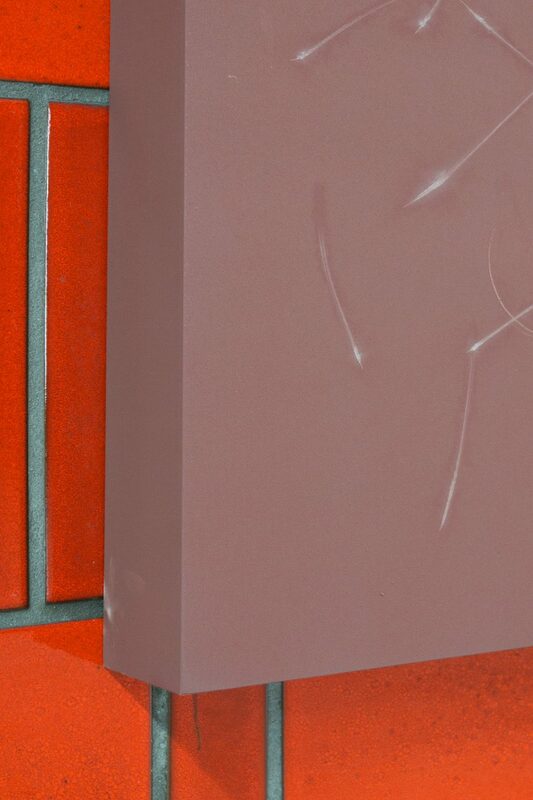 The texture is a familiar one, as the same surface is used on the sides of match boxes to enable ignition. 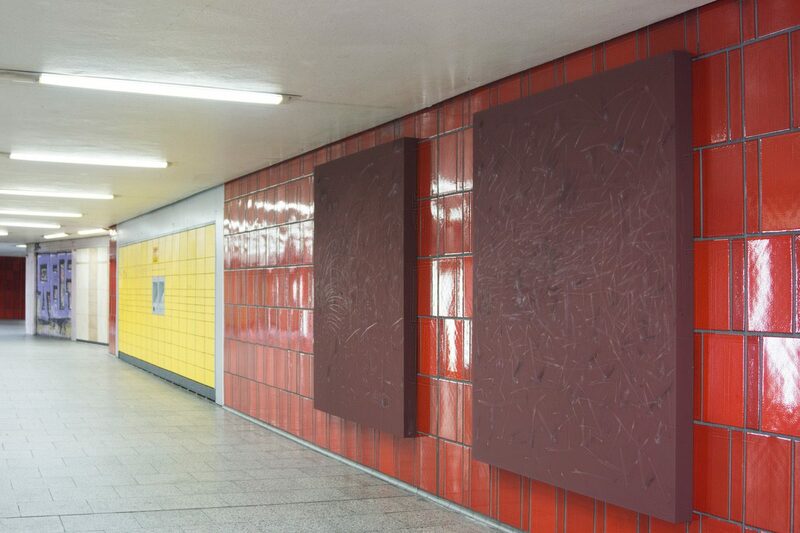 It is the first time Wachholz is showing his „Reibflächen“ in public space and also invites passersby to participate and leave their mark in his work. The correlation between the artist, the work of art and the viewer not only manifests itself in the documentation of the gesture as part of the striking on the surface, but also in every other manipulation of the monochrom and monolith frames. Wachholz defines the underpass of the subway station Ebertplatz as an additional exhibition space; turning it into a space almost cave like. Leaving a trace on the walls of this cave regularly is permitted by law, thus Wachholz breaks this rule with his invitation. 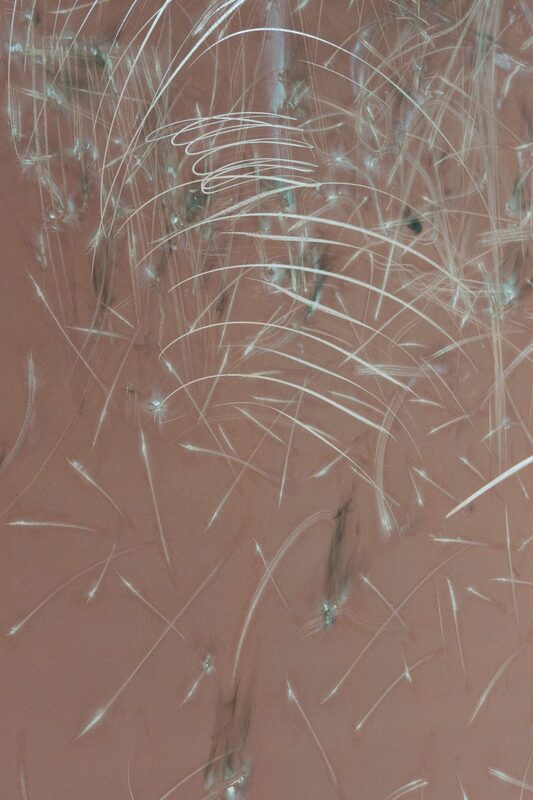 In fact the artist does not explicitly asks the viewers to intervene, to leave a tag or graffiti, to strike a match or to spit, but he gives any reaction the possibility to document itself. The work „Fire Walk with Me“ will be manipulated by viewers during the opening event as an initial to the coming exhibition period, in which the artist and ≈ 5 have decided to leave the work installed and open for the social „erosion“ of the Ebertplatz. Diese Ausstellung wurde mit freundlicher Unterstützung des Kulturamts der Stadt Köln realisiert. This exhibtion was realized with the kind support of the cultural office of the City of Cologne.